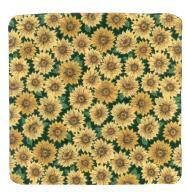 Item # SS0010 - 10 or more Place Mats - Rectangle...................... $ 2.50ea. Wooden Towel Holder comes with coordinating towel . 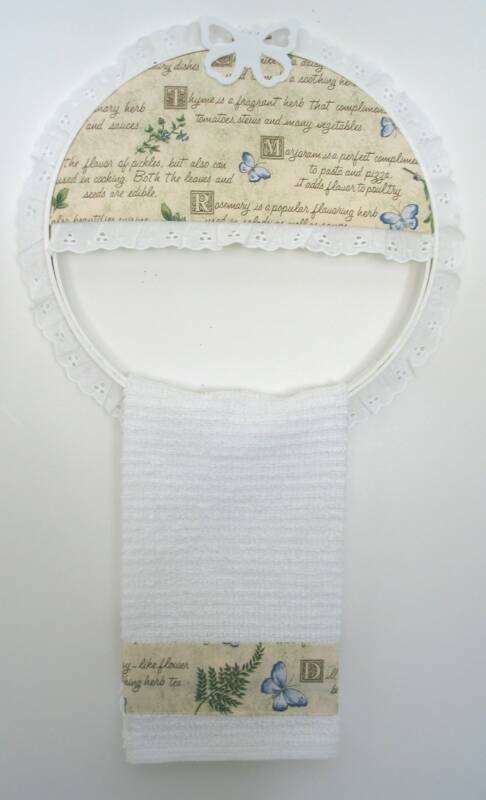 Embellished with white eyelet lace around holder and has a choice of butterfly or watering can. 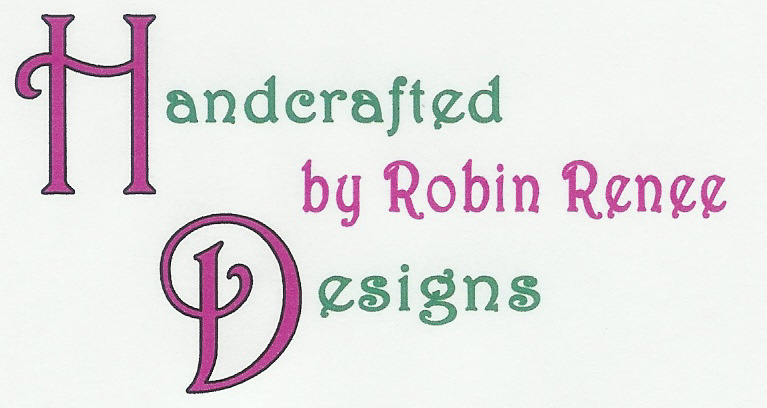 Makes a lovely gift or keep for your own home. 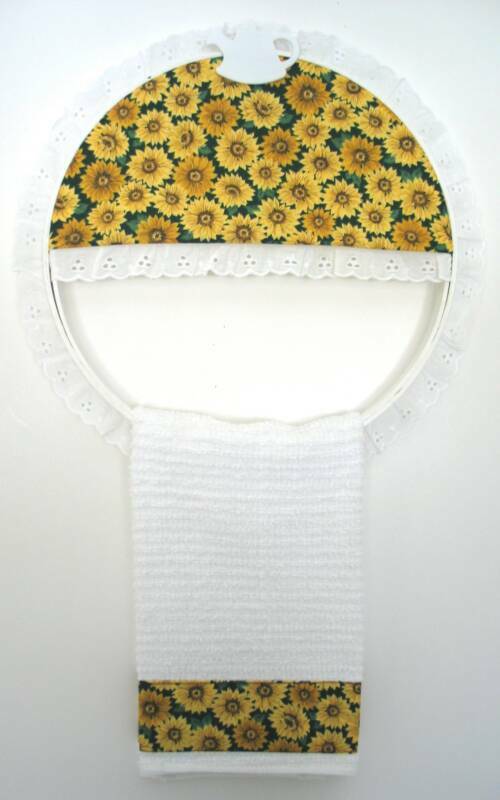 Towel Holder measures 10" in diameter. 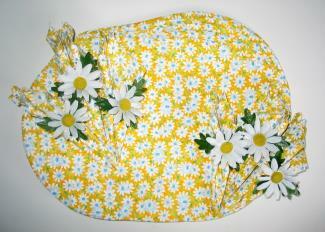 Towel size 16"x 19" and is 100% cotton. 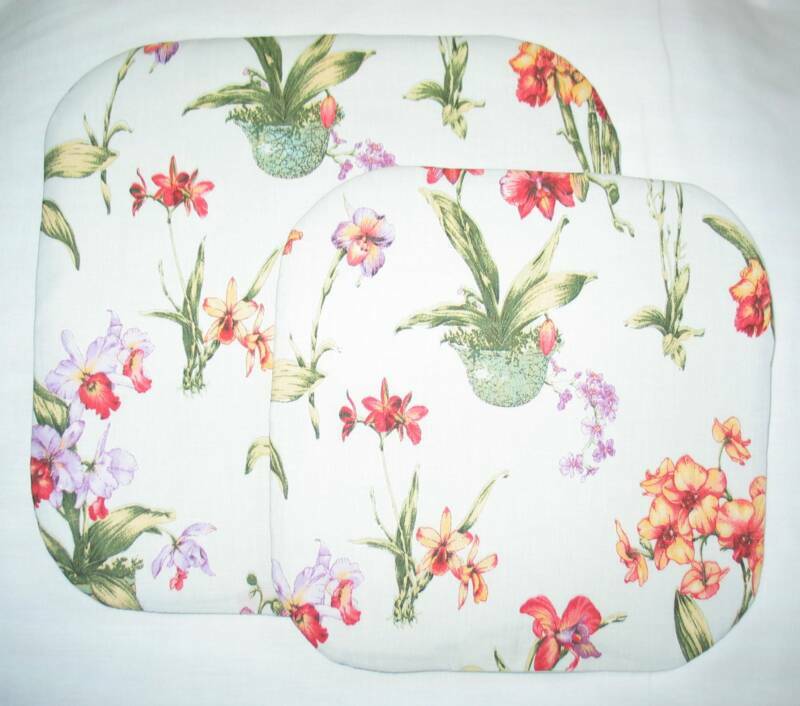 Set of two hot pot pads. 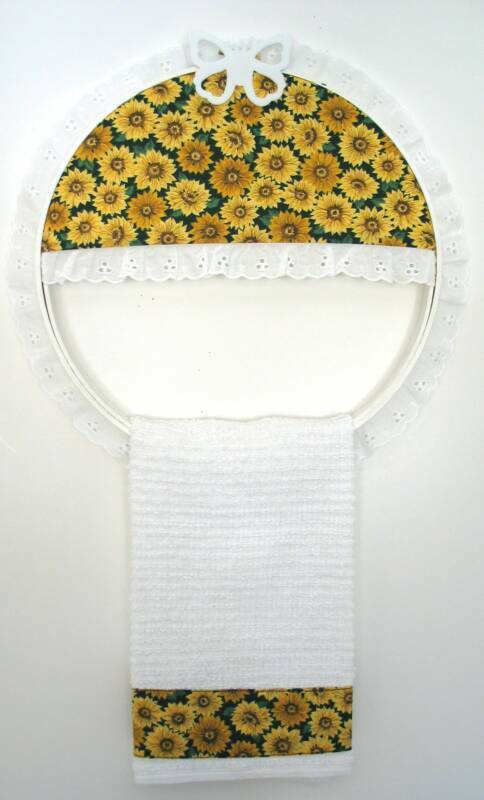 Includes 1 - 8" pad which fits pots up to 3 quarts and 1 - 10" pad which fits pots up to 8 quarts. Please read all Ordering & Shipping Information before ordering. Table Runners come in two sizes. 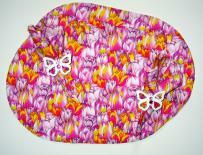 They are made of 100% cotton and are machine washable. 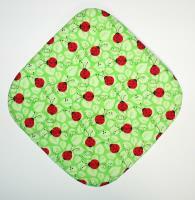 Table Runners are made with interfacing and two pieces of white muslin. Each runner comes to a point at each end and has a tassel. 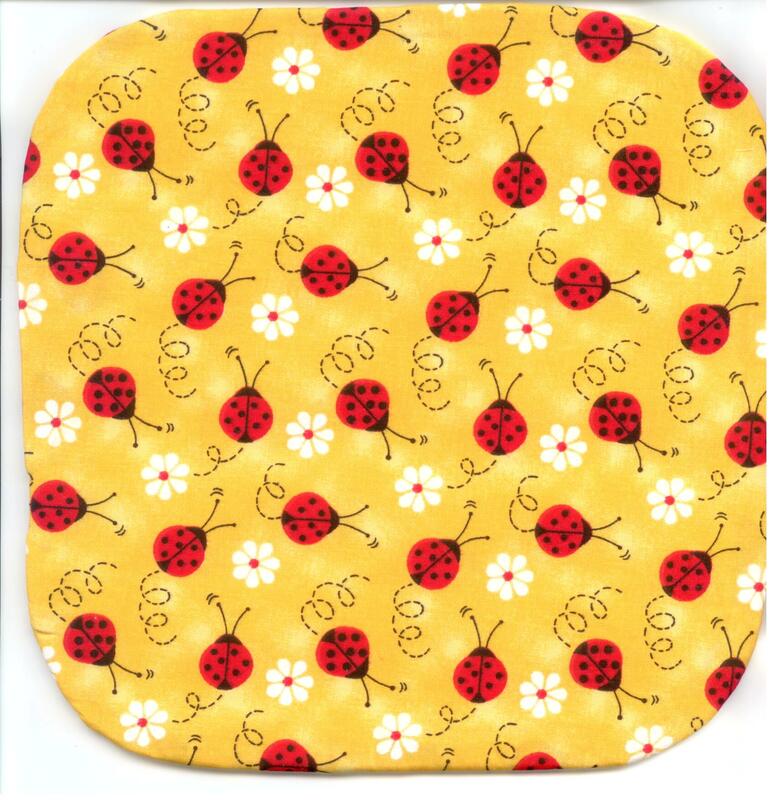 Item # SS0019 - 10 or more Place Mats - Oval................................. $ 2.50ea. 8" pad fits pots up to 3 quarts. Layered with fabric, 2 pieces of muslin, and insulated padding. 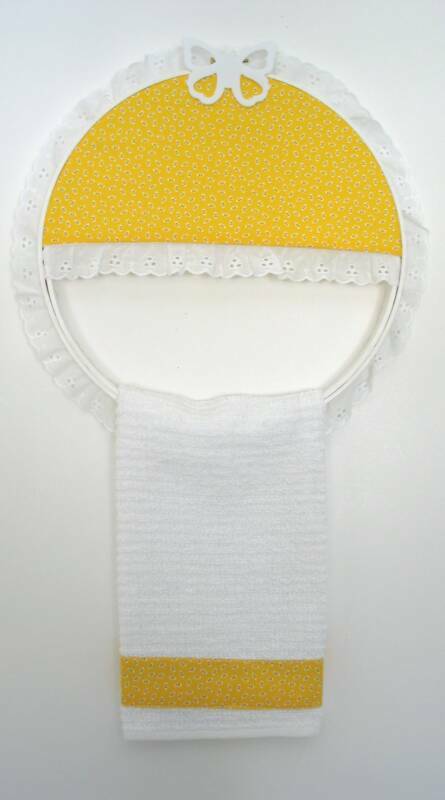 Hot Pot Pad can be designed with or without hanger, your choice. Machine Washable & 100% Cotton. Some Fabric Designs may become limited....Order Now!